Another heirloom quality piece, this bakes evenly and looks great on the dining room table. Love the large size of this stone, and you can also use it directly on the grill. The convenience of a slow-cooker, but the speed of a pressure-cooker. Win-win! Surprisingly useful, especially when the blender or food processor is too big for the job. The Smart Hub does the work of a gas or electric stove, range, water bath, slow cooker, yogurt maker and more - all in a smaller space. The silicone tips protect your cookware, and they lock closed for easy storage. Make sure your oven is at the right temp. I like this one because it locks onto the wire shelves. Holds a large batch of pasta, but easily flattens to save storage space. Can also double as a large steamer insert. A workhorse in our kitchen, Pyrex is easy to clean, light-weight, and durable. Very easy to use, and much less expensive than most Sous-Vide circulators. 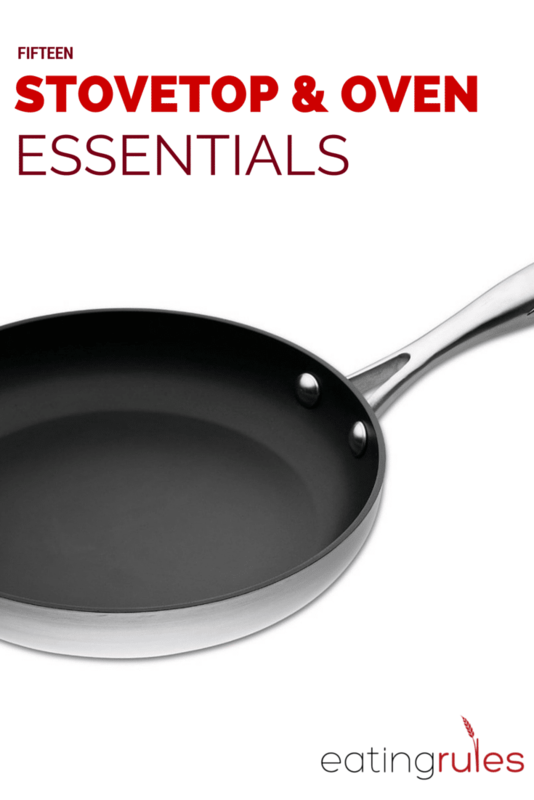 Excellent, non-toxic pans -- the surface is actually a type of glass. These are a great value for the price.